El Pinto Restaurant is declared the Best New Mexican Restaurant in the vigorously contested Best of the City restaurant category. The annual Best of the City Awards conducted by Albuquerque the Magazine were released November, 21 2013 at the Best of the City magazine release event held at Sandia BMW. First place award winners along with the top five finalists were revealed for the December/January 2014 issue of Albuquerque the Magazine. Hundreds of thousands of votes were independently tabulated ranking the best of the best in Albuquerque, New Mexico through this popular survey. 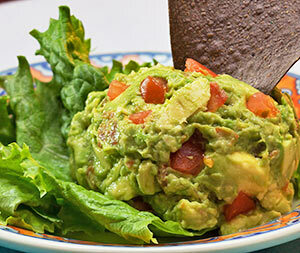 El Pinto Restaurant and Cantina is Best of the City in three coveted categories: Best New Mexico Restaurant, Best Guacamole, and Best Patio Dining. Additionally El Pinto was recognized as a top five finalist in six categories: Best Green Chile, Best Margarita, Best Chips and Salsa, Best Chile Relleno, Best Sopapilla, and Best Food Product Made Locally recognizing El Pinto salsa. This past summer El Pinto began gardening on the property to grow herbicide and pesticide free heirloom tomatoes for salads, sandwiches, and salsa. Future phases include year-round growing of various vegetables and lettuces inside a greenhouse currently under construction on the El Pinto restaurant property. Another initiative for nutritious food is the sourcing non-GMO corn for chips and tortillas while using high quality naturally trans fat free rice bran oil for frying. Chips are finished with nutritious and nutrient rich Celtic Sea Salt. El Pinto Restaurant and Salsa Co. continues to expand in its 51st year with an emphasis on serving nutritious, locally raised, and organic foods. El Pinto Restaurant has grown from a few tables in one room started by John and Jim Thomas' parents, to become the most famous restaurant in New Mexico with beautiful patios, natural wood burning fireplaces, and healthy New Mexican cuisine. 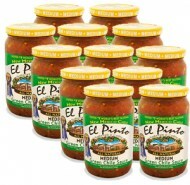 El Pinto Salsa has recently expanded with the addition of the convenient single serving cup which reduces product waste and increases consumer satisfaction. The restaurant and salsa manufacturing facility are co-located on property in the North Valley of Albuquerque, New Mexico. El Pinto is giving away FREE Tickets to the Jackson's MMA event with Dinner Entree Purchase on Wednesday Aug 7th. The first 50 customers who enjoy dinner with us beginning at 5 p.m. on the 7th will receive up to 2 free tickets (two entrees must be purchased) while supplies last. These tickets are worth $20 each and good Saturday Night August 10th. The Jackson's MMA Series XI is presented by The Downs Racetrack and Casino, and Expo New Mexico. 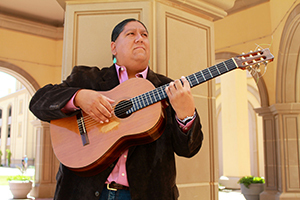 The venue for this event is at Tingley Coliseum, Albuquerque, New Mexico. There will be six professional fights and six amateur fights highlighted by the Edge Fighting Challenge. The main event features Conrad Padilla vs. Nick Rhoades. The Albuquerque native and US Army Veteran, Conrad Padilla has a professional record of 4-0-0 (Win-Loss-Draw). He is 34 years old, has a height of 5 ft. and 6 inches, and weighs 145 lbs. While Nick Rhoades, who represents Apex MMA, Tucson, Arizona was trained as a boxer since he was in his early teens and transitioned into MMA as an adult fighter at age 18, where he won through Technical Knock Out on his debut. He has a professional record of 5-2-0 (Win-Loss-Draw), has a height of 5 ft. and 8 inches, weighs 155 lbs, and he is just 23 years old. The Professional Cards are: Gabriel Benitez (Jackson's MMA, Albuquerque) vs. NickRhoades (Apex MMA, Tucson, AZ), Salvador Montano (Jackson's MMA, Albuquerque) vs. Ricky McCall (Bushido, El Paso, TX), Guido Canniti (Jackson's MMA, Albuquerque) vs. Freddie Lux (Apex MMA, Tucson, AZ), Daniel Salas (Jackson's MMA, Albuquerque) vs. Jason Brenton (School of Hard Knockouts, Grand Junction, CO), Nick Urso (Jackson's MMA, Albuquerque) vs. Curtis Johnson (Damage Inc., Socorro, NM). “The consumer places trust with restaurants to serve healthy and nutritious foods,” states Jim Thomas, co-owner of El Pinto Restaurant. Jim continues, “We made the move to high quality sunflower oil that is trans fat free numerous years ago, and more recently began using rice bran oil, which is high in antioxidants and can actually help reduce blood cholesterol.” All El Pinto chips are fried throughout each day on site in rice bran oil that is non-GMO, unprocessed, additive free, and trans fat free. Chips are salted with high quality unprocessed Celtic Sea Salt before serving. The FDA recently issued preliminary determination for comment stating that partially hydrogenated oils used with many fried foods are no longer generally recognized as safe. This may make partially hydrogenated oils illegal to be sold in the United Sates. Restaurants may use partially hydrogenated oils for frying because they are inexpensive and help increase restaurant profitability. El Pinto eliminated partially hydrogenated frying oil years ago, however it is a buyer beware marketplace. “Ask the chef when dining out what oil they fry in and if it is partially hydrogenated,” states John Thomas, co-owner of El Pinto. “We welcome those types of questions at El Pinto and want consumers to make educated and healthy decisions.” Enjoy your chips and salsa at the beginning of the meal and sopapillas at the end with confidence the oil used is naturally healthy and trans fat free. Albuquerque's Historic El Pinto Restaurant in New Mexico is collaborating with the estate of one of the most celebrated artists of New Mexico, world famous R.C. Gorman. Remaining works from the private collection by the late R.C. Gorman will be on display for public viewing at El Pinto Restaurant in New Mexico in addition to some of his most loved and cherished lithographs, serigraphs, paper casts, bronzes, and giclées. Over 50 pieces within the collection will be on display throughout El Pinto Restaurant in New Mexico from April 20th through 28th for restaurant guests to enjoy. This is the first exhibition of the R.C. Gorman Collection since the passing of Gorman in 2005. Bringing the collection to collectors and everyday public alike at El Pinto Restaurant follows a philosophy Gorman held that art is to be enjoyed by all. “El Pinto is an iconic restaurant in New Mexico. It is an amazing concept to bring the beauty of R.C. Gorman's work into El Pinto for patrons to be surrounded with while they enjoy a fantastic meal with family and friends,” said Jeff Sahd, curator at the R.C. Gorman Navajo Gallery. Over the past 50 years El Pinto Restaurant has grown from a few tables in one room started by John and Jim Thomas' parents, to become the most famous restaurant in New Mexico. Serving the best in healthy New Mexican food from traditional recipes from grandmother Josephina Chavez-Griggs, El Pinto is the spot that locals and tourists alike seek out for fresh New Mexican cuisine.